Many artists have been given the title “musician’s musician”. It seems that the key reason for such a title lies in the fact that the music they come up with is absolutely exquisite, but most of the time they don’t get wide enough recognition, which usually rests with their peers and a relatively small group of those others that appreciate it. Guitarist Glenn Jones seems to be one of those, and it seems quite probable that The Giant Who Ate Himself and Other New Works for 6 & 12 String Guitar his latest, ninth solo album will have the same fate. Ok, maybe Jones doesn’t really care, but it would certainly be a shame. You see, Jones absolutely has the art of guitar playing in his fingers. And in his head. It is all in the accumulated knowledge of the art and imagination it requires for that knowledge to be turned into something that really represents the personal expression. Jones has it all, and this new album, along with all the previous ones proves it. For those that are more familiar with all things connected with acoustic guitar playing, American Primitive, or otherwise, the title of the album will certainly recall John Fahey, ‘the master of them all’, and that was exactly Jones’ intention. Fahey was not only one of his inspirations, but his mentor and friend, somebody Jones had a chance to record with while he was still with his sadly missed avant-garde band Cul De Sac. It is not just the title but also the music that is evocative of Fahey, but the remembrance certainly includes Jack Rose, another late and sadly missed friend and collaborator. On the surface, the music sounds simple and easy, but as B.B. King used to say, that “simple” and easy is the hardest thing to do in guitar playing. As always, the devil is in the detail, and it is those details that make Jones’ playing so intriguing and complex and so easy on the ear. It is those seemingly unassuming details that create a picture of inventiveness and movement. And if you really want complex, like on “River In The Sky” Jones tantalisingly makes the track last less than two minutes. The Giant Who Ate Himself and Other New Works for 6 & 12 String Guitar is certainly Jones’ John Fahey tribute, but a tribute that tries to view the music of such a giant from a very personal point, a point of a somebody who was a student, admirer and a friend. 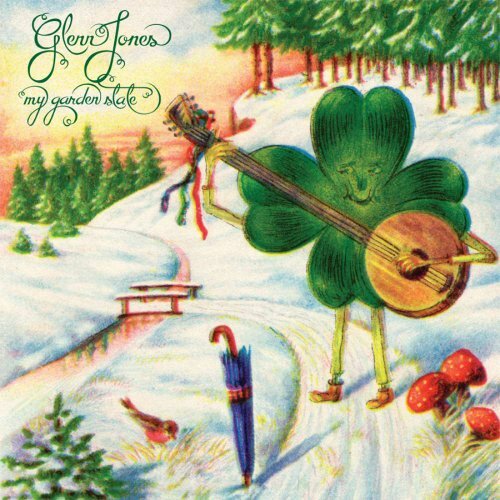 Yet another Glenn Jones album that is a joy to listen to.